Dave Daly has a degree in agriculture from California State University, Chico. A true East Coaster, Dave was born and raised just outside Boston. At BBG he worked closely with both children and plants, helping them to grow and thrive in their respective environments. 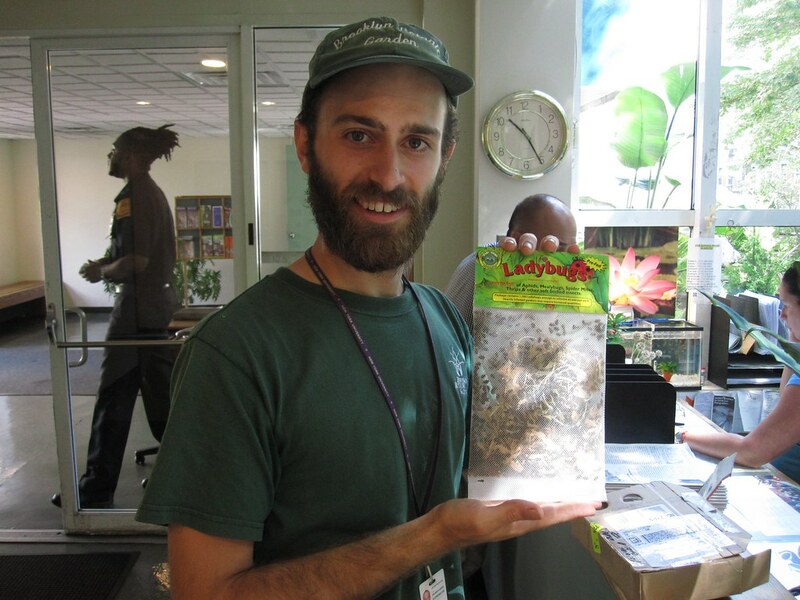 Children's Garden Coordinator Dave Daly with ladybugs that will be released in the Children's Garden.